It looks like the NexDock project, being funded through Indiegogo, is moving along. But not fast enough for my satisfaction. I really want to see this project proceed and at this point that’s certainly not guaranteed (unless this is like an eBay auction and everyone waits till the last minute). 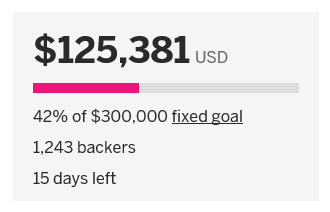 I am keeping my eye on the number and may just have to commit to a few more to help the project reach its goal. 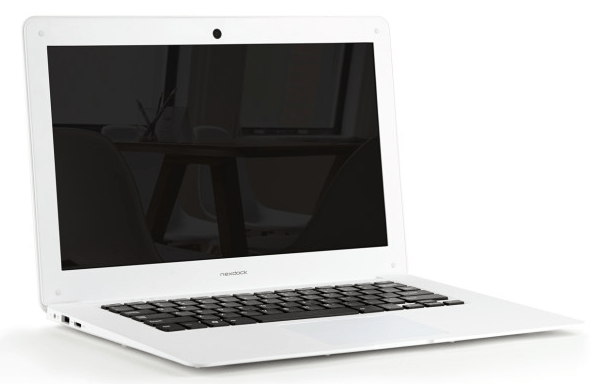 As a refresher, NexDock, being touted at the World’s Most Affordable Laptop, is a clamshell 14” screen with Bluetooth keyboard and high capacity battery. Is has no brain so to speak, and is designed to serve as a second screen for your; desktop, laptop, tablet or smartphone. It can even work with one of those new PCs on a stick. It works seamlessly with Microsoft’s new Continuum for Windows Mobile, as well as with other software bridges available (although limited) for Android and iPhone. I have been searching for a good end use to justify Continuum and I think I will find it with the NexDock. With either the Microsoft Display Dock, or using wireless charging, I’ll connect my Lumia 950 to NexDock and set it to the side of my desk. From there I can send and receive texts, something promised by Microsoft for years, and also be able to interact with my personal email accounts that I keep off my office desktop to avoid clutter. That’s a good start for me. We are happy to announce that our 2nd perk has been sold out as of yesterday and the 3rd perk is going fast too. NexDock is getting closer and closer to being in backers’ hands. To add more momentum, we also introduced a new 2-pack perk, which offers more than 25% discount. We met with the founders of Pine 64 the other day at their Milpitas office. Pine 64 is another great crowdfunded mini PC and we’ve got the chance to test NexDock with it. NexDock and Pine64 worked fast and seamless together. No doubt that Pine 64 users are going to love NexDock and vice versa. We also met with the founder of Maru OS which is the equivalent of Continuum for Android devices. Although it is only ready for Nexus 5 at the moment, it will be open source soon and will probably start working with many other Android smartphones. The NexDock also worked pretty good with Maru OS on Nexus 5 turning it into a Laptop running Debian OS. We believe that NexDock is the long awaited solution with its stand alone offering and compatibility with numerous operating systems and hardware such as Raspberry Pi, Pine 64, stick PCs and even the upcoming Android devices with Maru OS. Despite these good news and all our pitching to editors, the big media continues to ignore NexDock. It really troubles me that the folks at Engadget, TechCrunch and others have not mentioned this new, revolutionary product. 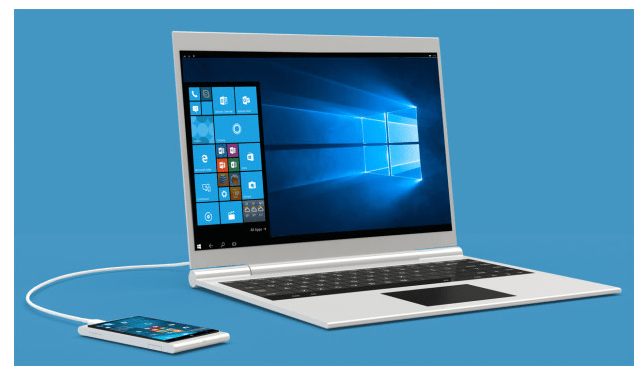 Last week during MWC, my Nextgen Reader feeds were ablaze with news of HPs new Windows Mobile phone and especially their new “NexDock like” dumb laptop accessory. Why is news of NexDock any different. I’m not sure of the policies of these Tech News giants, and maybe they do have a policy of not endorsing crowd funded projects. But no one is asking them to “endorse” anything. Damn, they don’t even need to provide a link. Just report the “news” as they are obliged to do. Unfortunately though, in this modern World, news providers “choose” what they want to share and what they want to keep buried. Not sure if that’s financially or politically motivated. But I am certain that the Editors at these services harbor preferences and prejudices, which unfortunately do a disservice to their readers. Something you will never, ever see at Mobility Digest. Assuming this project gets off the ground, and I really hope that it does, I am sure you will see a new and improved NexDock2 six months after Version 1 is released. So your investment might be short lived. Not much different than the original Surface RT really. But think of it this way. If NexDock doesn’t get off the ground, you may never get to see Version 2. Just like we may have never seen the Surface 4 Pro, Surface 3 and Surface Book, if Microsoft and the SRT had been wholeheartedly rejected and shunned by the media. A snowstorm starts with a snowflake. You can learn more about NexDock and help support the cause here. I’m counting on you to do the right thing.